OLD PARKED CARS. 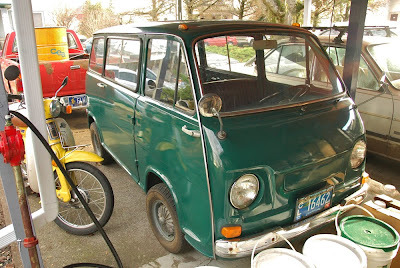 : One Awesome Carport: 1969 Subaru 360 Sambar. 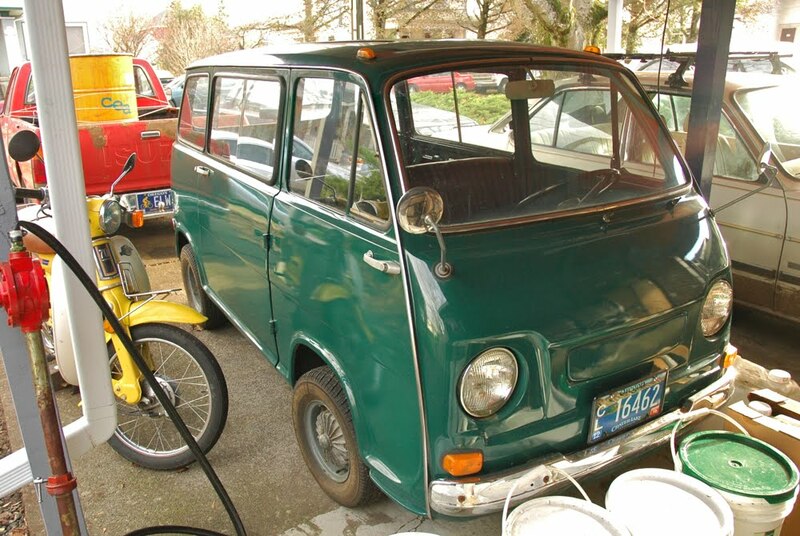 One Awesome Carport: 1969 Subaru 360 Sambar. That is super. I love it. 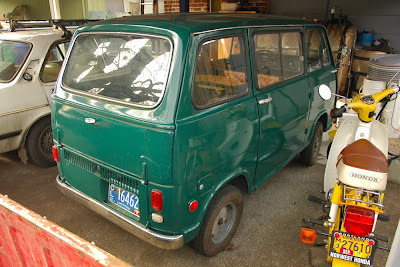 It looks small, almost like a kei van of some sort. I agree about it being super though. off-center license plate ftw. love the chrome barely-there bumpers are wonderful. wheelbarrow tires. side-view mirrors protruding like antennae. It is a kei van. Love these little buggers. so the day after ben posts this ridiculous find, my wife and i go and check out this house for sale in a part of town that i don't get to explore very often. as we pull up, i see an cream-colored i-mark parked on the distant curbside. my first thought, "whoa, i-mark! ben just posted one of these last night!" then as we got closer, i saw the nearby carport. the google streetview images are date-stamped 2005, indicating that they've had the van for at least since then, and that the i-mark replaced a gen-1 tercel. 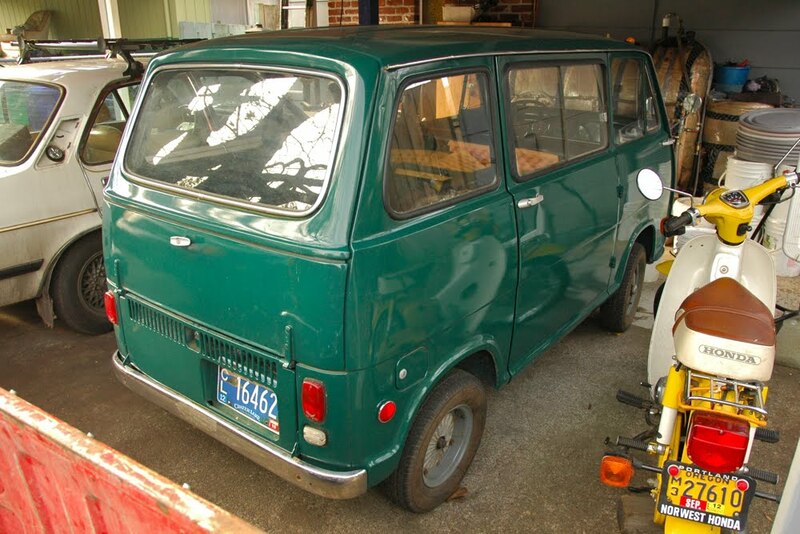 you were close... it is actually a 1969 Subaru 360. sambar is another name for the van body style. i picked it up in ROUGH shape in the late nineties for $100 and spent the better part of a decade tracking down the parts and restoring it. Thanks for that Casey, you are the man!